Our new lower prices are $54.81 for adult tickets and only $44.06 for child’s tickets! This year, you can get your tickets to this event exclusively online for your convenience. Visit www.sdcticketoffers.com and click and print ‘Additional Area Discounts’ and ‘Print at Home Instructions.’ Next click ‘Purchase Tickets’, enter the Corporate Promo Code 13810, then click ‘Submit’ to receive the discounted rate! Choose the number and type of tickets you want, add them to your cart, check out, and just print them! Call Chris at 913-685-4100 if you have any questions. 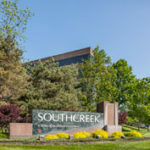 Choosing business space for rent in Overland Park with Southcreek means that you can receive these and other discounts to goods and services in the area. If you would like to find out more about our affordable office space in Kansas City, give us a call at 913-685-4100!